You have probably heard the term McMansion thrown around when searching for luxury real estate. MacDonald Highlands describes exactly what a McMansion is, and how MacDonald Highlands does not provide this type of so-called high-end real estate. The McMansion is a negative term to describe mass-produced and generic large homes. While they are viable places to live, they have created a certain status symbol due their size and “rich” looking appearance. They are often created quickly, with lack of architectural or structural integrity and overall intent. For example, it would be common to see a McMansion that mixes styles of neoclassicism and modernism for superficial reasons, not intent. They would have giant marble pillars not to help support the weight of the roof’s eaves; rather, they are there because giant marble pillars just look impressive. They are large for the sake of being large. For example, they have multiple floors, made up of bathrooms, garages the size of a small home, and an opulent kitchen in which cooking and entertaining guests may be a nightmare. They have ostentatious interiors, as well. This would include having vaulted ceilings, multiple chandeliers, wainscoting, and marble tile that has no rhyme or reason. These qualities are associated with high-end real estate, but when you mass produce these products, any elegance and unique features are washed out. We want to state that you have every right to live however pleases you. Yet, the bonus of living on a luxury real estate lot is that you can build anything that makes you happy. Consider how we can give you a real mansion that’s carefully crafted for your needs. All housing requires rigorous planning. What separates a mansion from regular housing is the crafting and attention to detail. All of this requires time. The careful planning from a reputable architect and construction company alone could take months. But it’s worth it. When you rush the process, aspects have to be cut. At MacDonald Highlands, when we construct high-end real estate on our luxury real estate lots, we take the time to do it right. 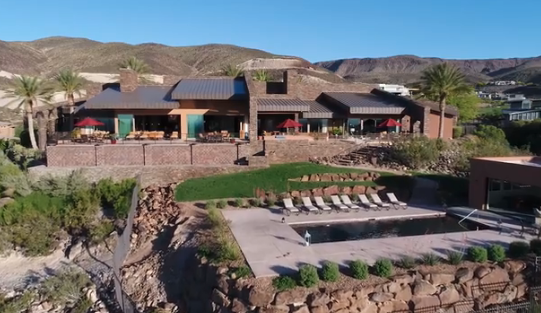 If finding a home for sale in Las Vegas proves too difficult, or you’re worried about buying a McMansion, the team at MacDonald Highlands can help. Our luxury real estate agents can find you luxury real estate you will be happy and comfortable in. When you choose a luxury real estate lot at MacDonald Highlands, dreams become a reality. Contact our office today and set up an appointment.